What to do next time Google Search Console refuses to give you data? Doesn’t it drive you nuts, when Google sneezes and your Search Console data gets delayed by as much as 1 week? These delays make it impossible to properly care for our web properties. 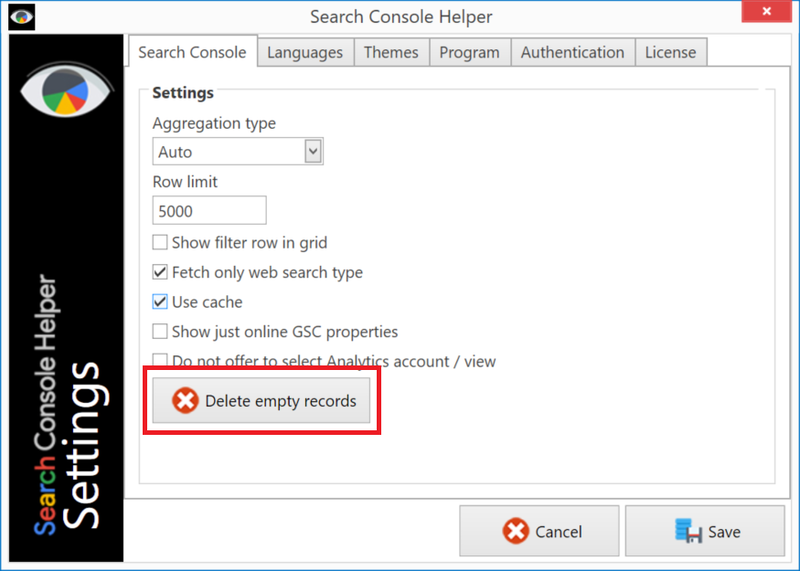 Let us show you how to fill in the data gaps in Search Console Helper. Google has been very good at providing fresh data, consistently. However, I’m sure, you have experienced some delays in Google Search Console. These delays usually run for 2-3 days. 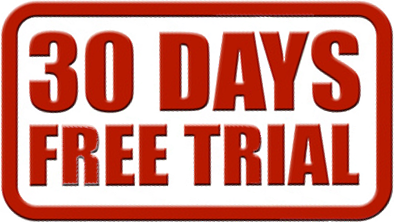 In fact, this seems to be a stardard practice: over the past year of daily monitoring, we have never seen data fresher than 2 days, give or take a few hours. There can be a lag between when the numbers are calculated and when they are visible to webmasters. Although data gets published in intervals, we continually collect it. Normally, however, collected data should be available in 2-3 days. Today (January 9) marks a special day. 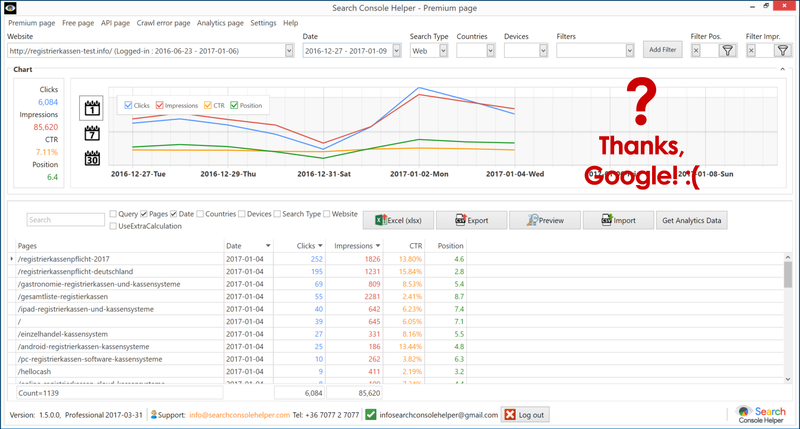 As of this writing, the latest data in Google Search Console is from January 4, 2017. That’s 5 days old (and starting to rot)! Other Google Search Console users are reporting the same issue. So, this is a worldwide data outage. Even though, Google eventually supplied all the missing data, delays like this cause a problem for everybody who is using Google API to retrieve Search Analytics data from Google, including all Search Console Helper users. When you attempt to retrieve data from Google Search Console via the Google API, Google will report zero results, even if there is no data available. Of course, zero results — as in 0 clicks, 0 impressions, etc. — is not the same as “no data available”. But try explaining that to Google! As a result, you end up with misleading data sets that show zero results on days, when Google didn’t supply the data at the time when you were retrieving it. Fortunately, Search Console Helper users have an easy way to deal with this. Anytime you have missing data in your reports, go to Settings and click the Delete empty records button. Remove all data with zero results. Attempt to re-fetch all the missing data next time you retrieve data. Another great thing about this is that you can re-fetch missing data 90 days into the past. In other words, Google would have to break, and stay broken, for 3 months before you would be unable to replenish the missing data. So, next time Google gives up on you, simply hit Delete empty records and pretend like nothing happened. Search Console Helper has your back! good content and helpful also…….